Call Uptown Minneapolis ChiroCenter to schedule an appointment TODAY! 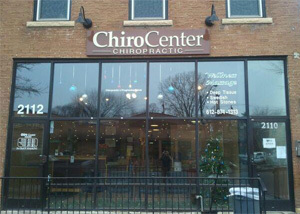 Uptown ChiroCenter is located at 2112 Lyndale Ave. S. in the heart of Minneapolis in the Wedge neighborhood. With easy access from Uptown and Downtown, our clinic provides care to a diverse clientele. We’re well within walking distance from several Minneapolis neighborhoods and located just two blocks from the I-94/394 and Hennepin/Lyndale interchanges. In addition to our convenient and beautiful location, we take pride in doing things right, the Uptown way: with integrity, respect, and attention to detail. We proudly offer our patients state-of-the-art chiropractic care, massage therapy, and nutrition services. We consider it a great privilege to provide world-class natural health care to people from all walks of life. Please call Uptown ChiroCenter today to schedule an appointment for yourself or a loved one. We now offer acupuncture at our Uptown ChiroCenter location. Dr. Peter Polski heads the staff at Uptown. A believer that we should all do what we love, Dr. Polski joined ChiroCenter after years of practice which left him seeking greater impact on the lives of the people who trusted him with their care. Dr Polski is proficient at treating a wide range of health concerns, from common aches and pains, to more complex conditions like plantar fasciitis, headache disorders, ear and sinus issues, and much more. Dr. Polski is bilingual, speaking fluent Spanish. His passion for educating patients about their own wellness is reflected in his pursuit of fitness through training and yoga. The Uptown ChiroCenter is also home to the talented Dr. Libby Berg . As an avid athlete, Dr. Berg engenders a passion for wellness with a strong emphasis in sports chiropractic. She brings with her years of experience in treating people who have suffered physical injury and is excited to focus her expertise at lifelong wellness through innovative chiropractic techniques, rehabilitation and nutritional support. Dr. Berg is bilingual, speaking both English and Spanish. Also at the Uptown office of ChiroCenter is Dr. Samantha White. Dr. Sam White knew she wanted to be a chiropractor since she was in fourth grade. She began this journey at Logan College of Chiropractic in Saint Louis, Missouri. After spending several years practicing in Missouri, Dr. Sam moved to Minnesota to start her next big adventure. And finally, Uptown ChiroCenter is also the office of Dr. Olivia Stensrud. Dr. Olivia Stensrud has a deeply rooted passion for wellness care and aims to help her patients feel their best. She finds joy in helping patients meet their health and wellness goals, through personalized care. Directly across the street from the Wedge Co-Op.